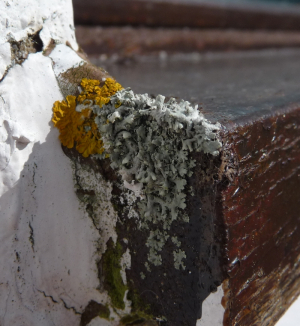 Observation - Foliose Lichen - Windowsill - UK and Ireland. Description: Yellow and grey foliose lichens on the north-edge of a windowsill. Yellow and grey foliose lichens on the north-edge of a windowsill.